Wild blueberries have a deeper flavour and sweetness than the regular version, and are perfect in this sherbet, free of refined sugar. Adjust the amount of dates to sweeten to your taste, depending on the ripeness of the blueberries. Place the dates in the bowl of a food processor. Let soak 15 minutes. Add the remaining ingredients and process until smooth. Refrigerate until chilled, at least one hour. Transfer the mixture to your ice cream maker and freeze according to manufacturer’s instructions. Serve immediately. 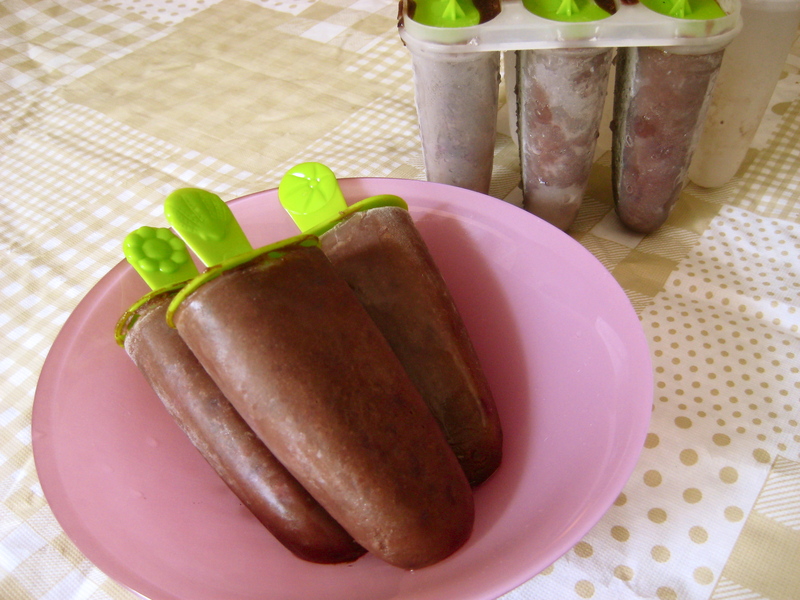 (If you freeze the remainder, let it sit at room temperature for about 15 to 30 minutes before serving). You’d never think that popping a few bananas in the freezer would result in an ice-cream-like indulgence… even better, it’ll be done in a snap. 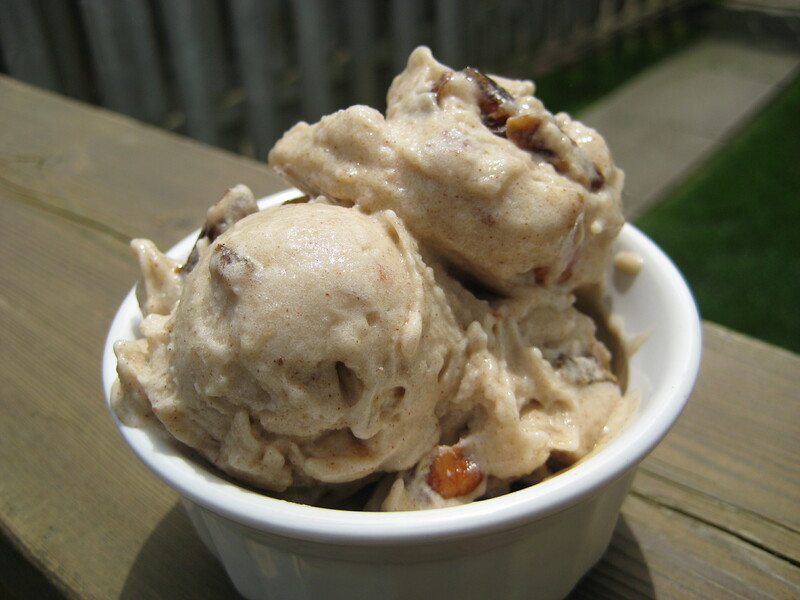 The dates give a sweet taste akin to smooth caramel, while the pecans add an extra crunch. *Using overripe bananas adds extra sweetness to the end result. Starting with a pudding base, these rich fudge pops shine with a chocolate-cherry combination that everyone is sure to love. You can buy molds for under $2 at the grocery store. Whisk the nondairy milk, agave nectar, and vanilla extract together in a medium saucepan. Add the cornstarch and cocoa powder; whisk until smooth. Bring to a boil on medium heat, then reduce to a simmer, whisking often, for 2 minutes, until thickened. Stir in the cherries. 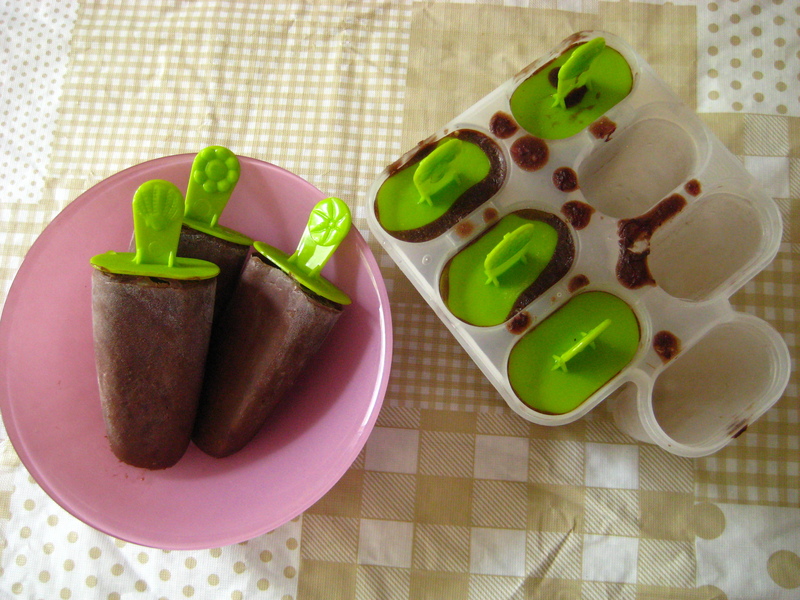 Let cool 10 minutes, then pour into the ice pop mold. Chill completely, at least overnight. To serve, run hot water on the side of the mold to loosen. *For the nondairy milk, I used unsweetened coconut milk beverage in the carton. Almond milk is a great option, too.